Two features especially distinguish the Two Horizons Old Testament Commentary series: theological exegesis and theological reflection. Both of these features are fully realized in this THOTC volume on Ezra and Nehemiah by David J. Shepherd and Christopher J. H. Wright. Following an introduction and concise, verse-by-verse commentary on both books, Shepherd and Wright highlight key ways in which these Old Testament texts continue to speak to us today. 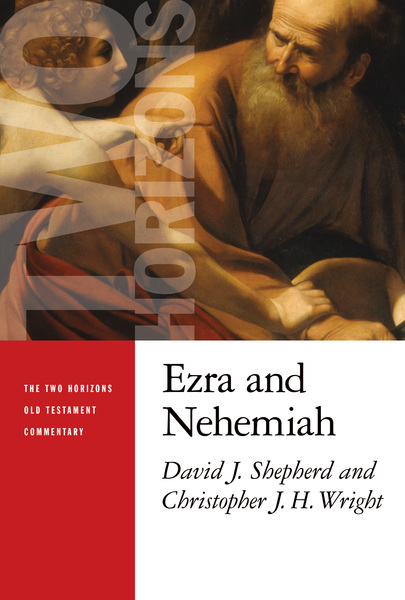 They closely examine what Ezra and Nehemiah tell us about God and the people of Israel, reflect practically on leadership, and engage critically with those portions of the text (such as Ezra's dissolution of the Judeans' marriages with foreigners) that present special problems for contemporary readers. Offering deep theological insight throughout, this volume will prove essential for students, pastors, and other Christian leaders seeking to engage in theological interpretation of Scripture. Christopher J. H. Wright is international ministries director for Langham Partnership. His other books include Old Testament Ethics for the People of God and The Mission of God: Unlocking the Bible's Grand Narrative. David Shepherd is Assistant Professor at the Loyola Institute. He is also the author of Targum and Translation: A Reconsideration of the Qumran Aramaic version of Job.